If you become incapacitated, you will not be able to manage your own financial affairs. Many are under the mistaken impression that one’s spouse or adult children can automatically take over for them if they become incapacitated. The truth is that in order for others to be able to manage your finances, they must petition a court to declare you legally incompetent. This process can be lengthy, costly and stressful. Even if the court appoints the person you would have chosen, the individual may have to come back to the court every year and show how he or she is spending and investing each and every penny. It is important that your estate plan address issues regarding the upbringing of your children. If your children are young, you may want to consider implementing a plan that will allow your surviving spouse to devote more attention to your children, without the burden of work obligations. You may also want to provide for special counseling and resources for your spouse, if you believe he or she lacks the experience or ability to handle financial and legal matters. You should also discuss with your attorney the possibility of both you and your spouse dying simultaneously, or within a short duration of time. A contingency plan should include a list of persons you’d like to manage your assets and name a guardian you’d like to raise your children in your absence. The person, or trustee, in charge of the finances need not be the same person as the guardian. In fact, in many situations, you may want to purposely designate different persons to maintain a system of checks and balances. The IRS will want to review your estate at death to ensure you don’t owe them that one final tax: the federal estate tax. Whether there will be any tax owed depends on the size of your estate and how your estate plan is structured. New York State has their own separate estate tax that you need to be aware of. There are many effective strategies that can be implemented to reduce or eliminate estate taxes, but you must start the planning process early in order to properly implement many of these strategies. Ultimately, a well thought out estate plan should provide for your loved ones in an effective and efficient manner by avoiding guardianship during your lifetime, probate at death, estate taxes and unnecessary delays. 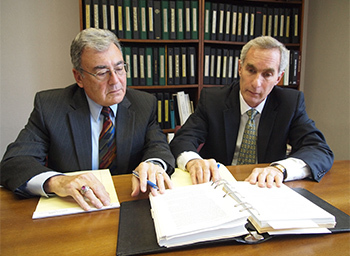 You should consult a qualified estate planning attorney to review your family and financial situation, your goals and explain the various options available to you. Once your estate plan is in place, you will have peace of mind knowing that you have provided for yourself and your family.